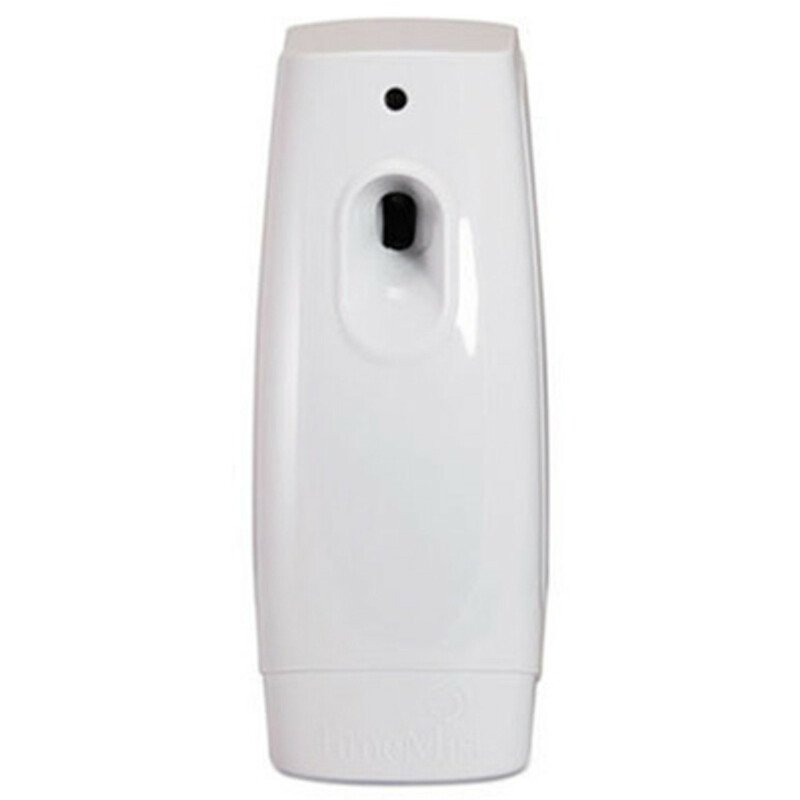 This fragrance dispenser from TimeMist can freshen up your room in your office or home as per your requirements. Its settings can be customised to dispense fragrance after every 10, 15 or 30 minutes to get rid of bad odours, as required. It can also be used in other commercial establishment including reception area of schools or hotels and high traffic areas to create appealing environment by dispensing right amount of scent. It can be installed easily to give an inviting feel in any space in your home or office as no source of power is required to operate this battery operated dispenser. It can improve your environment for 30 to 90 days by using AA batteries, depending upon the frequency of dispensing the fragrance and the size of refill used. The refills used in this dispenser to refresh the environment include high quality natural essential oils free from aerosol and volatile organic compounds that can be harmful for your health along with entire environment. You can use refills of various types of aromas offered by TimeMist to make your guests feel more relaxed and comfortable. Unlike the other air-fresheners available on stores the dispenser from TimeMist deactivates the bad smells instead of only covering them for some time. It pleases your heart by giving a pleasant smelling air and eliminating bad smells completely. The price of TimeMist standard size & 9000 shot dispensers are the more affordable option when compared to other brands. You can get it at your doorstep without any additional expense of shipping charges on your pocket, allowing you freshen up the environment of your office or home in a very cost-effective manner.